Over the past year, I've become a lot more interested in finding legitimate ways to create sources of income from vacant land that are truly passive. Now, to the average real estate investor, the words “passive income” and “vacant land” do NOT go together, but if you know where to look and how to find these kinds of properties, there are actually a lot of opportunities out there. One such opportunity is to invest in land that is leased out to the owner of a wind farm development. Essentially, the landowner can earn revenue from the lease (which typically lasts for 35 years or longer) and collect a small percentage of the royalties from the energy that is generated and sent into the power grid. 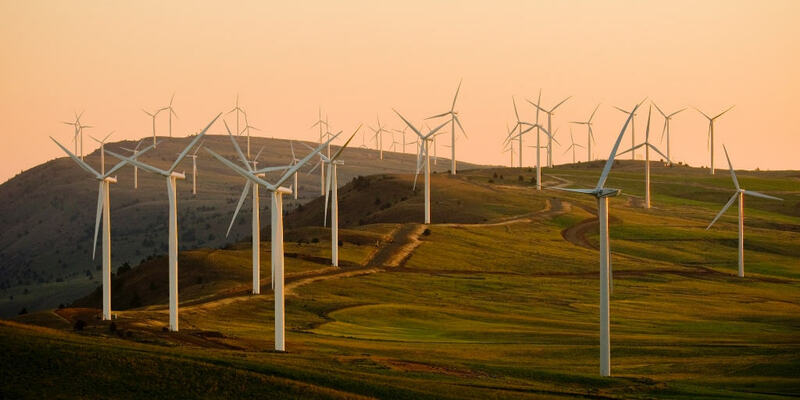 Depending on the size of the wind farm project, it's not uncommon for these leases and royalties to produce anywhere from $20,000 – $50,000 for the landowner. And the landowner doesn't have to do anything. They simply own the dirt and collect the money each year. Well… there's A LOT more to the story. In this episode – I talk with Tao Kong (COO of Alcen Renewable) and we uncover a lot of the details behind how wind energy leases work, what kinds of properties make the most sense for this type of development, what markets make the most sense to start looking in (and which ones to avoid), and a lot more. This was one of the most interesting conversations I've had in a long time, and if you have any interest in passive income, land investing or renewable energy, I think you'll enjoy it too. Curious about which states have Renewable Portfolio Standards (RPS) or Voluntary Targets? Check out this map for more info. Want to see which areas of the country have the best wind velocity? Refer to the Wind Prospector to find some of the prime areas around the country. See the total number of megawatts installed in each state on the WINDExchange. thanks for this information. While researching land for a tiny home, I became interested in purchasing land for renewable energy, however, have run into nothing but dead ends. Contacted a few companies but got no response from any of them. From what I can learn, the companies reach out to you if interested in your land, but my question is if you are a landowner how do you get on their radar? Can you provide other resources for persons interested in purchasing land for renewable energy? That’s a great question Linda. I bet if you contacted Alcen Renewable, they might have some insights worth considering. My takeaway from this conversation was basically the same thing you found… making a wind energy farm work (at this point, anyway) is FAR easier said than done. There are a lot of variables that need to line up perfectly, and someone has to invest a ton of money in order to make everything come to fruition (doesn’t mean you need to be the one dumping the money into the project, but someone with the means needs to be convinced it’s a worthwhile investment).